The Kupo High Baby Roller Stand is designed to hold loads up to 26.5 lb at its maximum working height of 13.8' using a triple-riser, 4-section design. 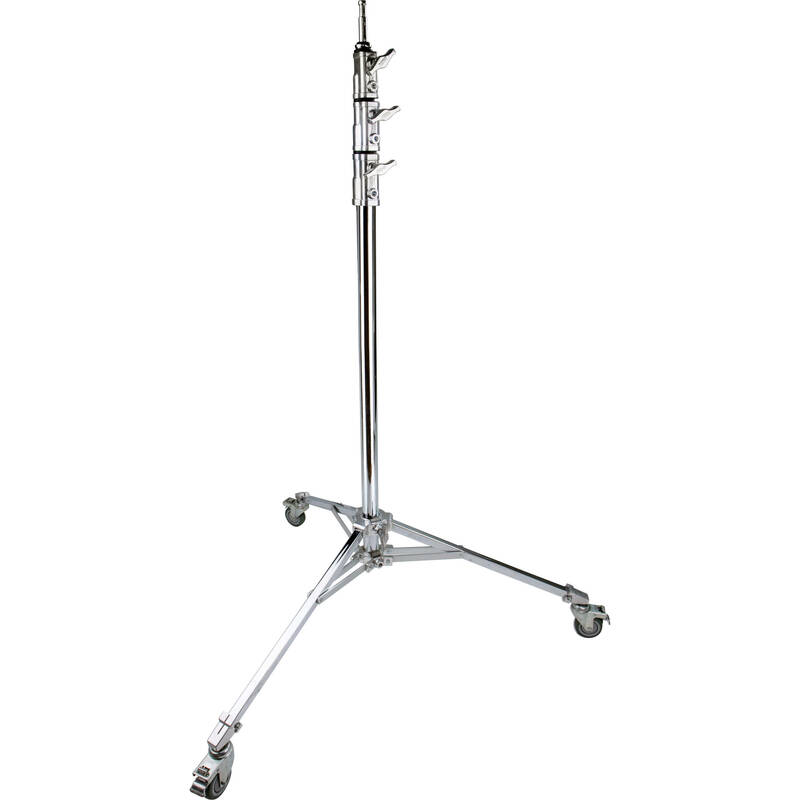 The stand features chromed-steel construction, spring-cushioned risers, and a 5/8" pin for gear with a 5/8" receiver. The stand has a wide footprint of 43.3" for maximum stability and folds down to 51.2" for storage and transport. The High Roller Stand's wheels make it easy to reposition, especially when extended to its maximum height.